Get Comfortable while you get Creative! At The House of Bread – Holiday Cottages you can get comfortable and get creative! 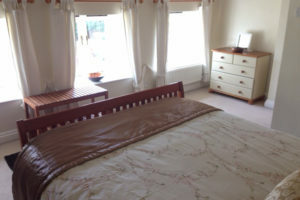 We have two stone-built, two-bedroomed holiday cottages (each sleeping up to 4 people in 2 doubles or a double and twin) and we offer self-catering accommodation in both of them or can offer B&B in one of them. So you can get creative while staying with us by either taking advantage of a great 10% discount on the cost of a Pottery Trial Class (exc. delivery), having a go at Pottery Painting or asking us to design you a Creative Break specific to your needs. Stay as Little or Long as You Want! At The House of Bread we offer a minimum 3 night self catering stay up to a whole week or more (with changeovers usually on a Mon/Fri, but this can be flexible) or a 2 night minimum B&B stay. 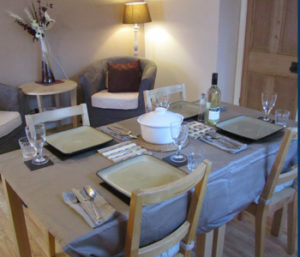 For larger parties, both cottages can be booked together for self-catering (with a 10% discount) and the dining/breakfast room in one of our cottages is big enough for 8 people to eat together. Our cottages are perfectly located for all the activities in the forest and are comfy and have separate entrances, kitchens and lounge dining areas. They both have family sized bathrooms with a bath and shower over and allocated off-road parking in our pretty country courtyard. There is shared use of a washing machine and tumble dryer, a shared porch for drying wet dogs and muddy boots and both have a dishwasher and the usual TV with Freeview and I-Pod/Radio/CD player.We have also spent time putting together information on local activities and walks which we hope are helpful and we do accept dogs (up to 2 per self-catering cottage/1 per B&B room) for a small extra charge. Our cottages are perfect for families wanting to be at the centre of all the activities the forest offers or for couples wanting to get away from it all and of course there are pottery and other activities for you on your doorstep! 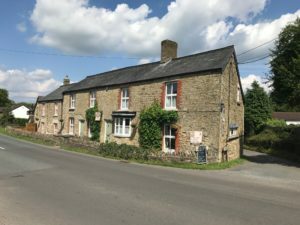 There are a few local pubs within walking distance which all offer good food and local ale and beautiful forest and river walks are right on our doorstep. Visit our House of Bread – Holiday Cottages website to see more information on our cottages and availability.